An Inari shrine is a Shinto shrine to worship the god Inari. There are many Inari shrines in Japan, and the deity is also worshiped in some Buddhist temples. 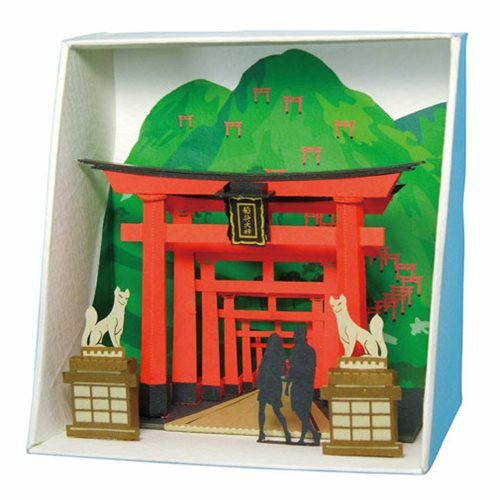 Take your papercrafting to the next level with this Inari Shrine Paper Nano Model Kit! Laser-cutting technology allows you to build the world-famous structure in more detail than ever before, and it's the perfect display piece to show off your papercrafting skills! Detailed color instructions and a folded display case included. Ages 12 and up.